The “The Wizard of Oz” is one of the greatest Hollywood films that’s adored by children and adults alike. It was released in 1939, along with another classic movie, “Gone with the Wind.” However, the influence of “The Wizard of Oz” is far greater than “Gone with the Wind,” in both pop culture and fashion. With its images of Dorothy and Toto skipping down the Yellow Brick Road, it’s been ingrained in American culture. Over the years, the “The Wizard of Oz” has had an effect on television, movies, fashion, and photography. The “The Wizard of Oz” has spun several adaptations such as “Road to Oz,” “The Wiz,” “Wild at Heart,” and “Under the Rainbow.” These movies have paid homage to the film in their own way. “Under the Rainbow” is a parody about the making of the classic film. “The Wiz” is a soulful take on the journey to Oz that stars Michael Jackson as the loveable Scarecrow. The most notable film is 1990’s “Wild at Heart.” This movie featured iconic moments like the Yellow Brick Road and Dorothy’s ruby slippers. In the film, Laura Dern clicks her heels together after having a horrific encounter with William Dafoe’s character. Dern also resembles Glenda, the Good Witch in the film. This movie won the Palm d’Or at the Cannes Film Festival in 1990. The “The Wizard of Oz” is also credited for the popular novel and Broadway show “Wicked: The Life and Times of the Wicked Witch of the West” written by Gregory Maguire. The novel gives readers a glimpse into the Wicked Witch’s life, making her the protagonist. 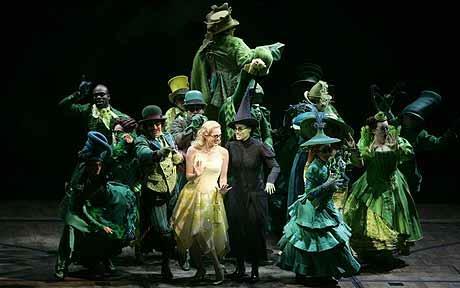 The Broadway show has become a more lively and upbeat version of the book. There have been several nods to “Oz” in pop culture. On the popular ABC series “Lost,” one of the castaways discovers a man in the jungle named Henry Gale, a nod to Dorothy’s uncle. Henry Gale turns out to be the show’s major villain, Benjamin Linus. ABC’s other popular series “Once Upon a Time” also paid homage to “Oz.” It includes Glenda the Good Witch played by Sunny Mabrey and the Wicked Witch of the West played by Rebecca Mader. Producers have hinted that other familiar characters will pay a visit to Storybrooke soon. 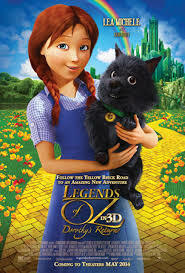 It also spurred two recent adaptations: “Oz: The Great and Powerful” (2013), which stars Michelle Williams and Mila Kunis, and “Legends of Oz: Dorothy’s Return” (2014), which stars Lea Michele and Hugh Dancy. 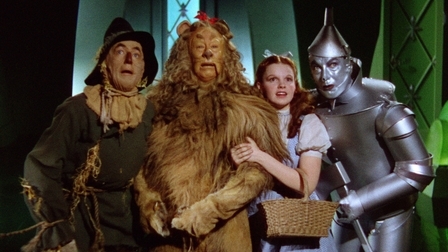 The “The Wizard of Oz” has had a large influence on fashion, both in design and in photos. Just look at Vogue’s December 2005 photo shoot taken by famed photographer, Annie Leibovitz. 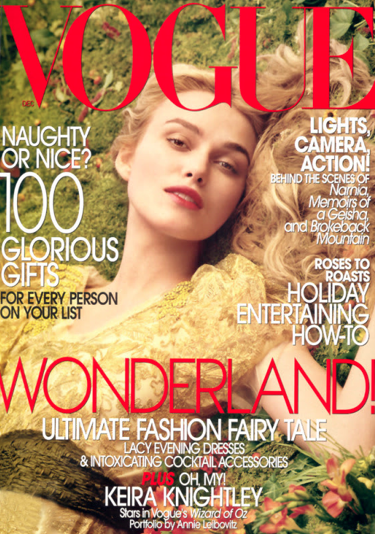 It features actress Keira Knightly as Dorothy. In the photos, Keira wears countless Dorothy-esque dresses designed by Marc Jacobs, Balenciaga, Oscar De la Renta, Donna Karan New York, Prada, and Yves Saint Laurent. Every look is complete with a pair of sparkling red glittery pumps. 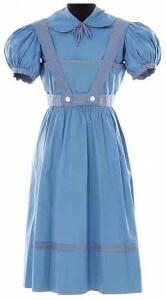 Gilbert Adrian (1903–1959)launched many fashion crazes such as the gingham cotton dress, which he designed for Judy Garland to wear on the film. This dress was quickly copied by countless retail chains. Women who wanted to get their hands on the iconic dress could find a similar look for less in a department store or the Sears Roebucks catalog. 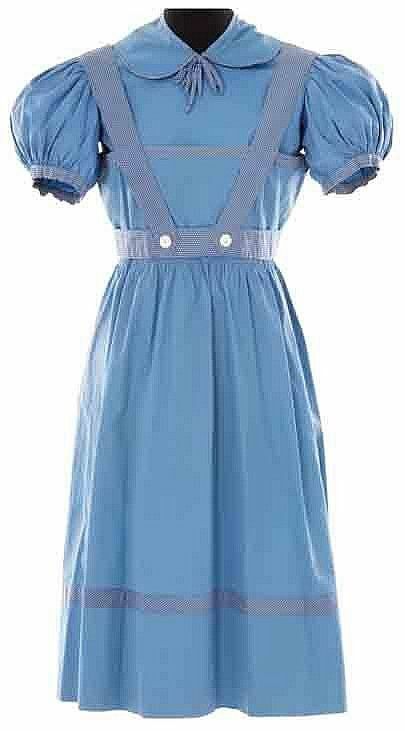 Fashion magazines included printed clothing patterns so women could create their own Dorothy dresses (here). Countless designers have also paid homage to the “The Wizard of Oz” at “The Kansas Project” in Asia in 2009. This exclusive collection of footwear included designs from Betsy Johnson, Diane von Furstenburg, Jimmy Choo and Oscar de la Renta. Most of these shoes are sparkling ruby red heels with holographic sequins that paid homage to Dorothy’s iconic ruby red slippers in the film. The collection was auctioned off to benefit the Elizabeth Glaser Pediatric AIDS Foundation. In the span of over 70 years, the “The Wizard of Oz” has become a film that’s been re-released as a profitable part of pop culture and fashion. It’s amazing that countless television airings continue and newer versions have been regularly released. The reason why it’s so influential is that it reminds us that we can solve most of our problems at home. It gives us that hope, be it in the Great Depression or in a struggling economy.